The dim sum buffet selection was rather limited. Everything was fine to me, not exceptionally mindblowing but wasn’t horrible, but Tim kept saying the dim sum at the other branch is much nicer. 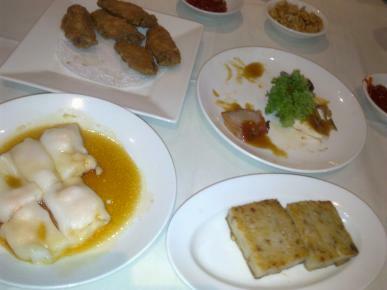 Recommendation: congee, chicken-duck-roasted-pork platter, spring roll, and red bean soup.